British Auto Parts Australia PTY LTD is a business geared for mail order Land Rover parts. Established in 1978 by Tim Kent (as RoveDrive), Sean & Julie McIntyre aquired the business in 2004 (name changed to Roverparts plus), in 2017 the business has been renamed S.W.McINTYRE. 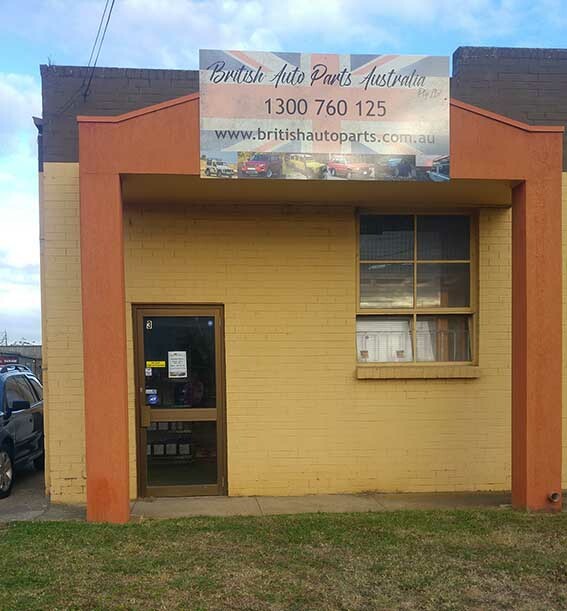 January 2018 has seen a big change for the business, with new owners (Steve & Leanne Cochrane) and the relocation to the eastern suburbs of Melbourne (what a move that was) as well as the new name of British Auto Parts Australia Pty, Ltd.
British Auto Parts Australia PTY LTD endeavours to provide Land Rover owners a no-nonsense experience in aquiring spare parts for their vehicle, as well as sound advice for repairers to avoid costly mistakes, and encourgement to the novice weekend mechanic. There may be new owners, but we are still carrying on with the well thought out and easy to use platform that Sean and Julie have spent many hours (make that years!) on. We are also working on increasing the range of items we have available, (and of course look after the staple of what has been created over the years) so please feel free to give us a call for any of your land rover needs and we will do our best to get it for you.